Exceptional Mercedes-Benz service in Jacksonville and St. Augustine, FL. 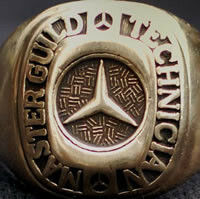 Repairing Mercedes-Benz vehicles since 1983. If it has a star, we can fix it. The ONLY mechanic to touch my BMW and wife's Mercedes. I have saved hundreds. Done with dealers when we have Jens. Jens is exactly what 5 stars says...he is "as good as it gets." Fair pricing, unsurpassed knowledge, experience, and attention to detail. Had work on my Mercedes. 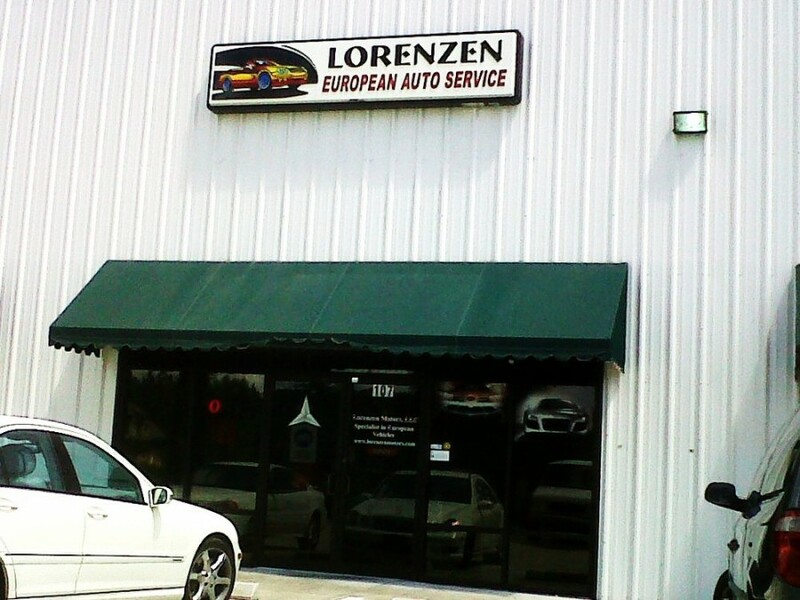 Lorenzen Motors provides excellent service at a reasonable price. Lorenz is very knowledgeable and fair. You wont go wrong bringing your business to him. The only draw back is that he is very busy and if you need something done quickly you will have to wait, but it still beats the dealer. I purchased a "project" 380SL from S.C., from the recommendation of a friend there, sight unseen...not running, and stored for about seven years. Oy Vey! With a few parts, diagnostic skills of Jens, it's on the road...a trusted friend/mechanic! I have always used Brumos MB in Orange Park, no more! Jens repaired my car and I plan to go back to Jens for all maintenance in the future. I highly recommend Lorenzen Motors and Jens. He is a one man show but does excellent work. This is a real deal mechanic. While others were telling me that this was an uncommon problem with my Mercedes. He said it was a common problem and fixed it in 15 minutes and $40.00 later. Everything worked in my car like clock work. I had been told the buttons on my dash were not working because of a SAM from other mechanics and the cost would be around $800.00 just for the part. After my research online, I came across Lorenzen Motors, this man, this hard working honest person that just tells you like it is and while he's examining your vehicle, he gives you information about it as well. I will never visit a dealer of any other mechanic, excuse me, technician again for my car. Many, many thanks and I am sure there are more to come. I recently have my transmission rebuild by Jenz on my 1993 Mercedes and I can say that I am a 100% plus, satisfied customer with the repair. The transmission feels and shift better than ever before, and he took care of other stuff that makes the car feels and drive like a new car. He is very knowledgeable and has the experience and tools needed to work on these complicated cars, and over everything, he is honest and will not try to rip you off because you drive a Mercedes Benz. I recommend Lorenzen Motors to anyone that wants the car to be fix right the first time. Wow, what a great find! I have a CLK that since I purchased; Jens has been the ONLY person to touch it regarding service. Will never go to the dealer again, they are such rip off artists. Lorenzen Motors is fair priced, very knowledgeable and is connected to several others that provide superior service in the area. I was surprised that Jens works on all vehicles expertly but his forté is certainly Mercedes and BMW repairs. Don't take your German car anywhere else. I went today to get my C240 looked at because of a noise. I found them to be extremely knowledgeable and helpful. I was told everything up front and was shown how Firestone had put in an inferior oil filter. I will use Lorenzen Motors from now on. You can trust this shop. Wow, what a comfort to know you were not being ripped off. I have taken my auto to Lorenzen Motors three times and each time I was treated with respect, courtesy, customer service and appreciation. Jens is honest and is passionate about his craft. Take your vehicle to this man! One satisfied client..G tatro @ Saint Johns FL. This guy is telling the truth about Lorenzen Motors. I wanted to get on here to get his name out there but I see that someone beat me to it. I just had service done to my car by him. I found him by searching the internet for Mercedes shops. When i got there, pre-buy inspection was going to cost me $80. Now, I'm a helicopter mechanic so i am thorough when it comes to maintenance. He noticed every little thing about the car (good and bad). he used calipers to measure each rotor, tools to measure the freezing point of the coolant and even used a torque wrench to put my wheels back on (that's my biggest pet-peave.) His tools are modern and complete. And even after 28 years of doing this, He still uses the Mercedes manual (WIS) to do the inspection and make sure he's not missing anything. Long story short, He's knowledgeable, honest, by the book, and his prices are reasonable. Take your car to this guy! But MB dealers always go over the car "bumper to bumper" when changing the oil seeking additional work and expensive repairs. Jens will also go over the car but will recommend repairs ONLY when they are truly necessary. And the price is more than right! You will NEVER get ripped off at Lorenzen Motors. Jens fixed my ML when no one else could. After thousands of dollars at the local dealer Jens fixed it right, one repair and cheap! I will never go anywhere else but Lorenzen Motors. Fast, honest and very knowledgeable about German cars in general. Thanks Jens! Recently purchased a 99 SLK from a friend and took it to Jens at Lorenzen Motors for a complete 45,000 mile service check up. Jens was very knowledgeable and helpful to me. He took the time to explain a lot about the car to me while doing the service. He really knows his business. I left feeling very good about my service experience and would trust him with my car in the future! Jans of Lorenzen Motors is not only one of the nicest and most helpful Mercedes repairman that I have worked with, but he is also one of the nicest human beings. He is trustworthy and accommodating and very quick working. He used to be a technical instructor for Mercedes-Benz, as well as worked as a GM of a dealership in Coral Springs, and is extremely knowledgeable. He has all the proper equipment to diagnose and repair any problem you may have with your Mercedes. His business recently opened (April 2009) and he is located right off I-95 on Hwy 210. Lorenzen Motors is also completely affordable. I highly HIGHLY recommend Jens of Lorenzen Motors--you won't be disappointed!